Please drop off your donations in the orange collection bin in the reception area as soon as possible. Thank you to staff, teachers, parents and 4th and 5th graders that made the 4th/5th grade Zero Waste Assembly possible. Thank you to the 5th grade Green Team: Alessandra, Aviva, Lucas, Nola and Sacha who created the first Zero Waste Day in 2016 and continue to lend their brilliance and creativity to Green Team initiatives. Thank you all who brought in old textiles for the All-Schools Textile Recycling Competition. Thank you all who packed zero waste and plastic free snacks and lunches. Thank you parent volunteers and teachers who read in the K-1 classrooms, signed up to do a trash clean up with the 2nd graders, made no sew recycled textile bags with the 3rd graders or supported the 4th and 5th graders in their speeches, script writing, acting, art and trashformations! 2nd grade parents we will be doing a trash clean up on Wed. at 1pm. Contact your child’s teacher if you want to join us. Put on annually by the Arlington Rec, this event is a special time for graduating 5th graders to celebrate with old friends, and meet new ones as they get ready to enter Gibbs. DJ, pizza for sale, photo booth and more! $5 in advance, $7 at the door. 5th graders ONLY. Go here for advance ticketing and further details. For the 2018-2019 school year, we will be electing a new School Council. The School Council is a separate body from the PTO. If you are interested in becoming a School Council Member please email nmewada@gmail.com and diana_lutz@yahoo.com a brief bio and a statement of interest. The PTO will hold elections after the spring break. The Thompson​ School Council is a representative, school-based committee composed of the principal, parents, teachers, and community members. School Councils were established by the Massachusetts Education Reform Act to improve and provide support for public schools. The School Council acts under the supervision of the Arlington School Committee. The School Council members are elected and is comprised of equal numbers of parents and teachers. This year, we will hold an election for 2 Parent Representatives. We will meet once a month in the afternoon or early evening. Meetings of the Council are public, and all interested members of the ​Thompson community may attend. Thompson Tuesdays in May at Not Your Average Joe’s! Eat or get take-out at NYAJ’s on any Tuesday in May, mention Thompson when paying the bill, and 15% of your check will go to the PTO Enrichment Fund! You can use your Community Card to save yourself 10% too – SAVE and GIVE at the same time! Excludes alcohol. Arlington location only. Can you volunteer for an hour or two on Sunday, May 13th? Please contact Sara Wilkinson at causeandeventvolunteer@gmail.com. The Cause + Event race has sold out but we are still in need of volunteers to help make this event a success. We need volunteers to help with set up/clean up, pass out food, water and medals, cheer on runners along the course and a variety of other jobs starting as early as 6am and ending around 10am. The first four non-profits who provide 10 or more volunteers will receive an extra $100 donation. Thompson parents can volunteer on behalf of the school’s PTO. Spring is here and with it, one of our favorite events of the year – the school picnic. In addition to the dunk tank, bounce houses and of course the cake walk we are adding some activities this year and could use your ideas and help to make this the best picnic yet! Join the team! Believe it or not planning begins NOW for the 2018-19 This is Thompson’s second biggest fundraiser each year, bringing in $16K+ annually for School Enrichment. Arlington EATS NEEDS YOUR HELP! The School Snack Program is growing by the day, and our kids are making good use of it. Students are encouraged to snack on fruit, which is generously supplied through our community partner, Food Link. However, the rest of the snacks offered are purchased. Helping us continue to offer this program and meet growing demands is as easy as adding another item or two to your grocery list and dropping it off in one of our marked bins. For more information about our School Snack Program and a list of approved snacks, here’s our School Snack Program Fact Sheet. We appreciate your support! See Arlington Scoopermania 2018 Flyer. Please join the Arlington Board of Youth Services and Dr. Steven Schlozman for the inaugural Mental Health Focus Series discussion on “Understanding and Reducing Stigma in Mental Health.” This event will be held at Arlington Youth Counseling Center (AYCC) at 670R Mass Ave, Arlington on Wednesday, May 2nd from 7-8:30pm. The program is free and light refreshments will be served. Have you ever wondered about: Why mental health stigma persists? How the current system of care contributes to this stigma? How parents can advocate for their child, for themselves, and for their communities to diminish mental health stigma? What some of the most unexpected findings in the study of stigma and mental health are? Dr. Schlozman will address some of these topics and more as he explores the stigmatization (and de-stigmatization) of mental illness. Steven Schlozman, M.D., is the associate director of The Clay Center for Young Healthy Minds at Massachusetts General Hospital (MGH) and an Assistant Professor of Psychiatry at Harvard Medical School (HMS). He was also the co-director of Medical Student Education in Psychiatry for HMS and is a staff child psychiatrist at MGH. He works with children, adolescents, and adults and consults to the transplant services there. He has been involved in national efforts to increase recruitment in psychiatry and decrease stigma with regard to psychiatric illness. He has conducted international research focusing on stigma and mental illness and has written and presented extensively on the topic. He also writes fiction and has published two novels including The Zombie Autopsies. This event is co-sponsored by the Board of Youth Services, Arlington Youth Counseling Center, and Arlington Public School’s Parent Forum Committee. For more information please visit http://www.arlingtonma.gov/aycc. The Town of Arlington offers a Grandparents Raising Grandchildren Support Group which now meets on the second Wednesday of each month from noon to 1:30 at the AYCC offices in the Whittemore-Robbins House behind the Robbins Library. Prospective members should email LAugust@town.arlington.ma.us or call the Council on Aging, 781-316-3410, for a short telephone interview before attending the group. Happy Spring! I think I can finally say that after the fabulous weather these last couple of days. There’s nothing better than being outside, in the sunshine, watching kids play. One of my favorite sights to see is so many families and friends playing and talking after school on the playground. There’s so much value in those moments – and fostering our community is one of them. Baseball season has officially kicked off in our house, and with that will come driving from field to field, dinner on the run, and me helping to “coach” from the sidelines! I’m sure I will be crossing paths with many of you on those evenings. On another note, I’d like to ask the parent community for some support. Over the past few weeks I have seen an increase in some challenging and concerning behaviors in many grade levels. With our students having access to technology – YouTube, Gaming Systems with game Chat enabled, and messaging – I have seen more and more incidents of students “trash talking” to each other, making aggressive statements that they may or may not fully comprehend, and challenges to the authority of our lunch and recess staff. Please continue to have frank conversations with your children about the importance of being respectful of themselves, each other, and all adults that work at Thompson School. I appreciate your support! With the end of April break comes the craziness that is the last two months of the school year. We continue with MCAS in the month of May, PTO sponsored Field Trips are happening at every grade level, Staff Appreciation Week, Field Day, and the Family Picnic to name a few! We are also looking ahead to next year and will be sending out our Parent Input Form for Class Placement in 2018-2019. We also begin the events that will welcome our newest students, while saying goodbye to our oldest. Please mark your calendars – the 5th Grade Celebration of Learning will be June 19th. 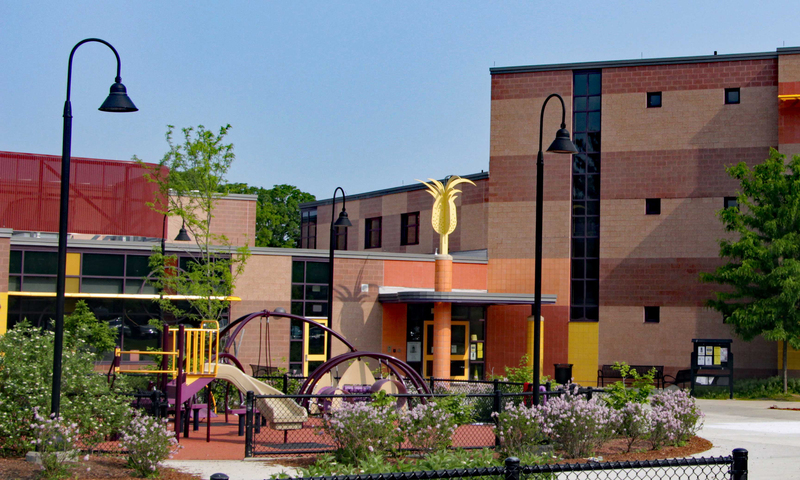 At this time of year, I also like to ask for families who know that they will not be returning to Thompson for the next school year to please email Vicki at vrose@arlington.k12.ma.us. This will help us plan accordingly for class sections and sizes. At this time, we already have 80+ students registered for Kindergarten and 8-10 new registrations for the other grades. Thank goodness we have our addition! I hope you and your families had a wonderful week, and the transition back will be smooth for all of us. These next 45 school days will fly by…be sure to hold on tight and enjoy the ride! All Schools will be competing to collect the most textiles during the competition week and to win a prize and town recognition! Can Thompson match or collect more than the 272.6 lbs of textiles donated last year? Drop off your textiles (all old, worn, torn clothes, shoes, bedding, stuffed animals, etc) to the Bay State Textiles collection bin outside your school. including skits and speeches about the 4th graders’ “Strawless Campaign” and 5th graders’ “Zero Waste Campaign”! Parents please pack a zero waste snack and lunch with your students! Zero waste lunch= lunchbox with reusable containers and silverware and a water bottle. No disposable straws, juice boxes, plastic bags, food cups or snack bags ideally. More information on how waste free lunches save money: http://www.wastefreelunches.org/what-is-a-waste-free-lunch-program.html#what-does-it-look-like? April 23rd-27th – Parent volunteer class opportunities! Sign up to read books on Earth Day themes in K-1 classrooms! Featured book is “One Plastic Bag”at http://oneplasticbag.com/. Books will be available at the front desk. Sign up to help with trash clean up with 2nd grade classes! Sign up to help the 4th and 5th graders with their Zero Waste Assembly! For questions about the textile recycling competition, you can contact Rachel Oliveri, School Sustainability Coordinator, at roliveri@arlington.k12.ma.us. Goods News! Arlington Garden Club is awarding $200 toward the Thompson school garden revival. Contact Fiona Ehring at fionaehring@gmail.com if you are interested in helping with the garden. If you have any questions about the Thompson Green Team, contact Elizabeth Grace Rocco @ egrocco@gmail.com. The 5K run/walk, Cause + Event Boston, is coming back to Arlington on Sunday, May 13 (Mother’s Day) at 8:00 am. C+E Boston is a fun, family-oriented event that celebrates health and wellness, the spirit of philanthropy among the runners, and the work of the nonprofits in our community. This race is unique – at least 50% of each runners’ registration fee is donated to their charity of choice. You can select the Thompson PTO or your favorite charity. Over the past three years, Cause + Event has donated almost $1000 to the Thompson PTO as a part of the $60,000 donated to participants’ selected charities. This is the goal race for the FitGirls program so there will 250+ 4th and 5th grade girls running the 5K including 45 from Thompson! Register today at www.causeandeventboston2018.racewire.com, and do it soon, last year the race sold out a month early! You can learn more about the race at the Cause + Event Boston website. Questions? Feel free to contact Sara Wilkinson @swilkie49@hotmail.com. Coming in May! Thompson Tuesdays at Not Your Average Joe’s. Eat or get take-out at NYAJ’s on any Tuesday in May, mention Thompson when paying the bill, and 15% of your check will go to the PTO Enrichment Fund! You can use your Community Card to save yourself 10% too – SAVE and GIVE – a win-win! Teacher Appreciation Week is coming! The week of May 7th through May 11th teachers will once again enjoy a Tuesday luncheon, a Thursday breakfast plus a few additional surprises… watch for a sign-up genius to help out that week coming your way in the next few days.